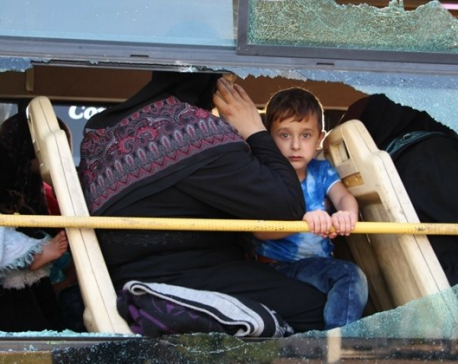 GENEVA, July 20: The United Nations refugee agency appealed to all sides in Syria on Friday to provide safe passage for 140,000 civilians displaced by fighting in the southwest so that they can receive aid and shelter. KATHMANDU, August 18: Business and trade union leaders have termed the recent passage of Labor Act and Social Security Act as a milestone achievement in a journey toward forging better employer-labor relationship. KATHMANDU, August 18: Business leaders and trade union leaders have termed the recent passage of Labor Act and Social Security Act as a milestone achievement in a journey toward forging better employer-labor relationship. 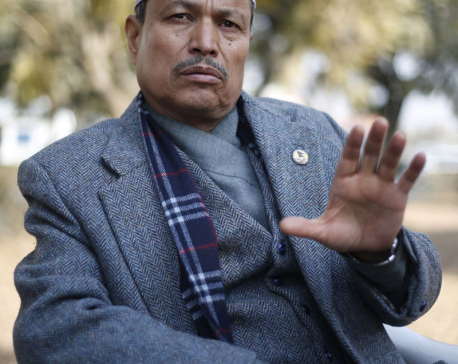 Ever since the government of Pushpa Kamal Dahal registered a constitution amendment bill in parliament on November 29th, 2016, the main opposition, CPN-UML, has been consistently opposing the rastraghati (anti-national) bill and asking for its withdrawal. But which provisions in the bill are anti-national? And what is the way out of the current political and constitutional deadlock? UML Vice-chairman Bhim Rawal, who has also served as deputy prime minister and home minister in previous governments, shared his insights with Biswas Baral and Mahabir Paudyal. KATHMANDU, Sept 30: The Legislature-Parliament meeting today endorsed three bills including the Finance Bill 2073 BS, National Credit Reimbursement Bill, 2073 BS and Loan and Guarantee Bill, 2073 BS(21st Amendment) related to the financial affairs. KATHMANDU, July 5: The two major ruling partners -- CPN-UML and CPN (Maoist Center) -- have agreed to first endorse the annual budget currently being discussed in parliament and then enter the process of implementing the nine-point deal and other gentlemen's agreements reached between the two sides two months ago.